Sydney Oral Design is a ‘full function’ laboratory located next door to Parramatta at Harris Park. We are just a short walk from Parramatta Train Station and have onsite parking along with wheelchair access. We provide an extensive range of products and associated services to meet the need of dental surgeons throughout Sydney, NSW and across Australia. 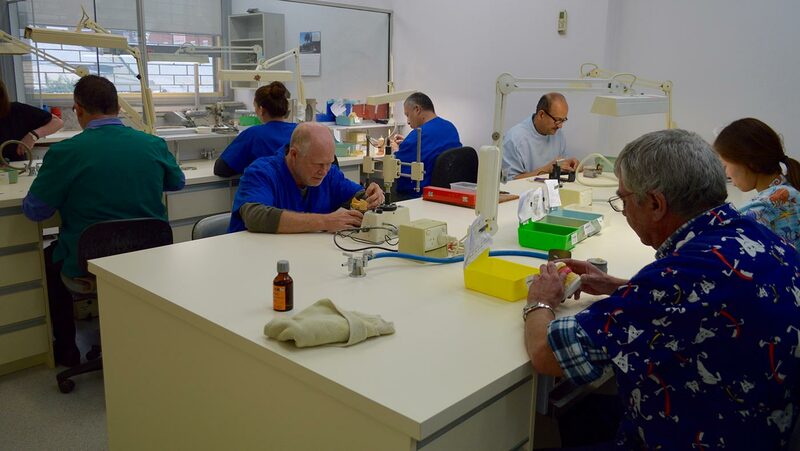 We understand the importance of quality and that is why we provide intensive critical scrutiny over our high volume of output from our dental laboratory. We source materials from major brands to ensure only the best quality end product is delivered to our clients. Our professional and dedicated staff are trained in production techniques that are industry best practice. This combination of factors means Sydney Oral Design can always be relied upon to deliver the optimal solution for even the most difficult case. Experienced and accomplished Dental Laboratory with a long history of providing services to small, large and specialist dental practices, private health insurers and public hospitals. Always at the forefront of developments in the dental sector and progressive in the use of technology. Call us to discuss a case, book a pick-up or request a current price list.